For the second year running, The Arts Society Woburn (TASWA) has sponsored an entry selected for the prestigious, RBA Exhibition. The 'Rising Stars' competition is organised by the RBA to encourage and sponsor young artists attracting nearly 250 entries from all over the country. 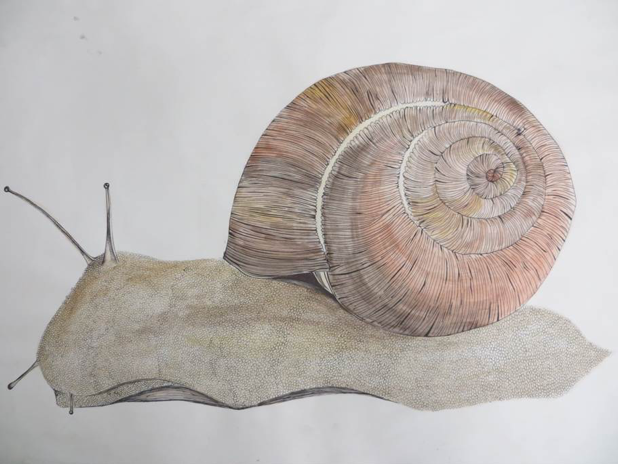 One of the 21 finalists selected to show their work at the Royal Overseas League and the Mall Galleries, was Megan Rodger an A level pupil from Harlington Upper School, Bedfordshire, with her entry ‘Snail’, in pen and watercolour. An entrant from the same school was successful in 2018. The first opportunity to see these exhibits is at the Royal Overseas League, St James, London W1, from 26th April-19th June after which they will move to the Mall Galleries, London SW1 from 4th-14th July. Members are strongly encouraged to go and see the incredible talent of our young artists for themselves.